A few of my recent posts are devoted to various chaotic systems, in which I must have pointed out that my exploration of Chaos Theory in its simplest forms started quite long ago. Now it is a lot of joy for me to remember how these beautiful things gradually came into my life to make up a small but important share of what I learn and do. 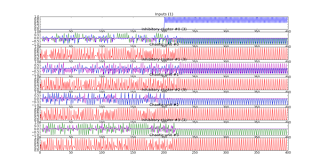 It turns out that it was a sequence of loosely, if at all, connected events that led me to programming ferns and double loops, most of which were characterized by total absence of any link to science. I suppose it won’t be a mistake to assume that many people of my generation first met the word ‘chaos’ in the fantasy worlds of books and video games. Highly educated ones could also come across it while exploring ancient Greek mythology and philosophy, but I was introduced to the former much earlier than to the latter. Like many boys during childhood I was a fan of fantasy heroes praising Chaos in its mytho-fantastic sense – as opposed to Order. 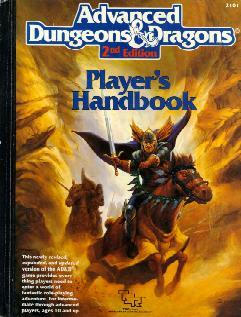 A particular example of this is that when faced with the need to create my first AD&D character I didn’t hesitate much about the first part of its alignment – definitely the choice was ‘chaotic’ and the second part didn’t matter that much. Somehow, the first thing young men learn is to disdain law and order – lawful characters seem to be much less popular than their counterparts. However, we deviated from the topic – you don’t sense even a smell of Chaos Theory so far, do you? Well, let’s move one step closer to where I am now. To have no choice except for exploring the field of Chaos Theory, when faced with it later, I had to connect myself, at least, to the word ‘chaos’ in a reasonably strong way well before the encounter. The way I did it is well known to those familiar with my twitter account – back in 2003, when I was 13, I picked the nice word ‘Chaot’ as my nickname. At that time I thought I am old enough to secure a personal email. Still, the address with the nickname that I used then was occupied already, so I had to come up with another one. 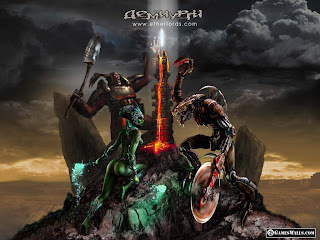 Chaots is the name of a race in the Etherlords strategy game, which I used to play that time – so, when the word came to my mind I thought that it is much better than just 'aturok' or something like this and left with an email. Ten years ago I didn’t suppose that I would like this name strong enough to carry it until now – not to say that I could hardly imagine that it would bring me to playing with a branch of science. Our next stop, Warhammer Fantasy Battles, has nothing to do with science as well. At the same time, my visit to this wonderful universe was chaotic both in terms of content and form. I fell in love with these tiny soldiers of metal and plastic, which one has to paint nicely with his own hands, and was totally absorbed with picking proper colors, waiting for the next visit to the figures shop, learning the rules of the wargame and arranging my little, though strong, army in regular rows on a shelf. However, as many passions do, my fondness of tin soldiers passed in a matter of a year – I still have a couple of infantry warriors and a mounted general waiting for someone to paint their armor and let them to the battlefield. That’s the form hardly showing any order – anyway, the nature of passion is absolutely chaotic. As for the content, one familiar with the Warhammer universe might have guessed that my troops were painted in black and red – the colors of Khorne, one of the four Gods of Chaos. While it is difficult to claim that my attempts to build and equip a 2-inch-tall army brought me closer to, say, Lorenz attractor, it definitely made the word ‘chaos’ draw my interest even more, supporting the feeling that everything that is told to be chaotic is somehow related to me. This strange basis must have helped me not miss the important thing when it came into view for a moment, although the context in which it appeared seems awkward at best. 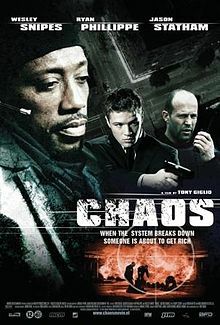 In 2005 an action movie starring Jason Statham and Wesley Snipes appeared that is the first in my row of chaotic events, which is actually related to science. Jason Statham and science in one sentence – a bit of surprise, isn’t it? The plot of the move is not relevant here; the fact that it is called ‘Chaos’ and has tiny pieces of explanation of the things Chaos Theory deals with, woven into the plot is relevant. 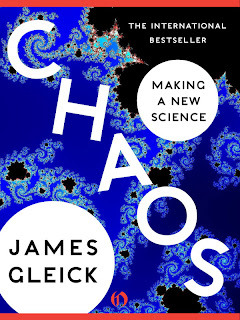 What is more important, all these scarce mentions of emergent order and of Edward Lorenz – one of the first explorers of Chaos Theory – came with an image of the book ‘Chaos. Making a New Science’ by James Gleick. Ironically, without Jason Statham I might have missed the reading that I mention so frequently in this blog. I truly believe that the ‘Chaos’ book is the thing that made appearance of the Lorenz attractor and Barnsley fern images in my blog possible. Because not all great texts reach the snowy Russian plains fast, I managed to take hold of this one quite late – in 2012 – that is six years passed since I first heard of it. Luckily, that was the right time – I was already able to program, familiar with the concept of artificial neural networks and fond of math and Computer Science. All this combined led me to implementing some interesting stuff including a simple network of chaotic neurons. Nevertheless, the actual rise in my ‘chaotic adventure’ did not happen until I decided to build a personal web-site this spring. My key problem with it was the lack of ideas regarding the content and here Chaos Theory helped me. Somehow I decided that the logistic map, Barnsley fern and other curious beasts are perfect to fill a simple web-site. This way, my site and blog are actually the things, which keep me in touch with the basics of Chaos Theory. While I hope that the things will go on like this and I will keep expanding the range of systems shown on alex-turok.com, I also have more ambitious plans related to this field. The area that attracts me most is one where chaos meets artificial intelligence – particularly, I have already touched on the ideas of chaotic neural networks. Although all the things that I tried to implement were not significantly more complex than, say, tent map, I feel that combining these two powerful concepts is worth the effort. As for concrete stuff, I plan (as I have mentioned in previous posts) to try and implement the pattern recognition mechanism proposed by Nigel Crook, which is based on Lorenz equations and neural networks – hopefully I will succeed at employing the idea to accomplish something interesting. With all these things laid out, I still can’t say for sure how far I will go down this path. Indeed, the way I came to exploring Chaos suggests that it is too hard to predict the outcome of my future adventures, since any minor deviation from the chosen track may lead me infinitely far from where I wanted to arrive. However, that’s not a problem, because I will definitely enjoy both the process and the destination.